​Brighton host Cardiff City on Tuesday night in this absolutely crucial match, as both teams battle it out to avoid relegation from the Premier League. The Seagulls were humbled at the Amex Stadium on Saturday, falling to a 5-0 thumping at the hands of Bournemouth, leaving them hovering about the drop zone in 17th. 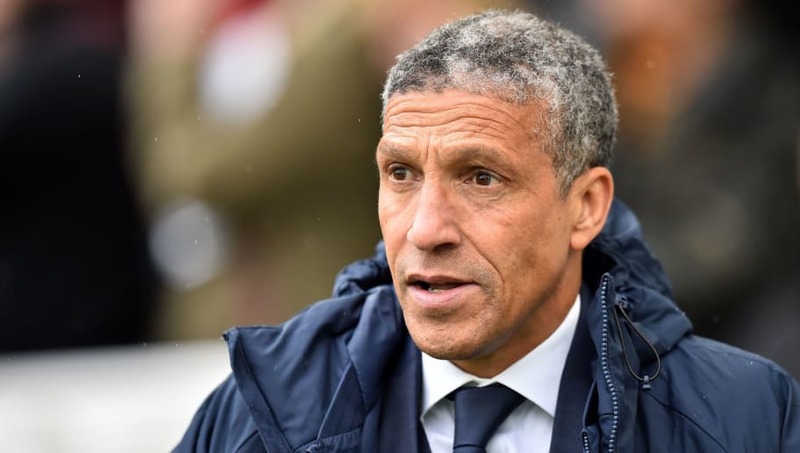 Chris Hughton's side go into Tuesday's fixture five points ahead of the Bluebirds, but a defeat would close the gap to two points and ​Brighton's run-in is far more daunting than ​Cardiff's - facing three of the top six. Despite being without ​Anthony Knockaert, who was given a straight red for a dangerous lunge on the weekend, Brighton fans will be buoyed by the return of midfielder Pascal Gross, who is fit again following a hamstring injury sustained in February. Here's how the Seagulls could line up for ​Tuesday's crunch match. Matt Ryan (GK) - Brighton's number one will be hoping to put an end to a poor run of form which has seem him concede nine goals in three games. Martin Montoya (RB) - The former Barcelona man has started all but one of Brighton's league matches since Christmas. Shane Duffy (CB) - Duffy captained himself on Fantasy Football for Saturday's 5-0 defeat and as it's a double gameweek, he'll have the armband again - a bad omen? Lewis Dunk (CB) - The 27-year-old opened the scoring in Cardiff in November's reverse fixture, but the Seagulls went on to lose 2-1. Bernardo (LB) - The left-back from Leipzig has started four of Brighton's last five league games. Dale Stephens (CM) - Stephens has started the last seven Premier League games, as he nears 200 appearances for the club. Yves Bissouma (CM) - Bissouma is expected to continue in midfield, with Gross only just returning from injury. Davy Propper (CM) - One of Brighton's strongest players, Propper has become a key player at the Amex since arriving in 2017. Jurgen Locadia (RW) - The Dutch forward hasn't quite had the desired impact in the Premier League for the Seagulls, scoring just twice - both of which came in December. Glenn Murray (ST) - Far and away Brighton's top scorer this season with 13 goals, Murray should come back in to replace Florin Andone after two games on the bench. Alireza Jahanbakhsh (LW) - Knockaert's suspension should give the Iranian international a starting spot, as Jahanbaksh still awaits his first goal or assist for Brighton.